Manócska, the little gnome (goblin? dwarf? leprechaun?...) single father lives in a large gourd, patiently raising a passive-aggressive green piglet and a ridiculously adorable baby guinea pig. 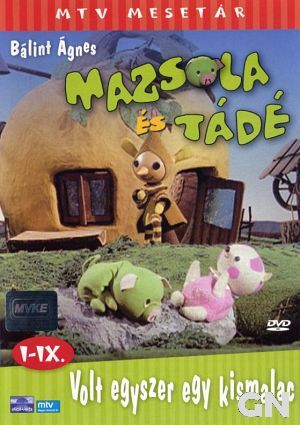 Mazsola és Tádé is a puppet TV show that aired between 1969 and 1973; it has 2 seasons and a total of 23 episodes. It is a children's classic (then again, all the movies and shows mentioned in this A to Z are). The genius of this series lies in how accurately it portrays children's behavior. Mazsola, the green pig and Manócska's first adopted child, is a moody and rowdy four-year-old, while Tádé is a baby that barely talks yet, and has to be... well, babied. Mazsola exhibits a lot of older sibling jealousy, and goes out of his way to get Manócska's attention. But he is a king piglet at heart, and really cares for baby Tádé. The show is both funny and adorable, and has quite a few very quotable moments. My favorite one happens in a winter episode, where Mazsola goes outside and digs a path in the snow with his snout - then comes back in, and all through the episode keeps repeating to Manócska that "Mazsola shoveled the snow! Mazsola shoveled the snow!" "Tádé! Whose idea was this?!" "How could you think of something like this?!" *sniff* "... Mazsola told me." "Mazsola! What did you say about me...?" We usually quote this when someone accidentally says something about you that they didn't mean. Mazsola, by the way, means Raisin. Omg! That is so cute! It reminds me of my sister as a baby. Telling mom that everybody but her pooped her diaper. 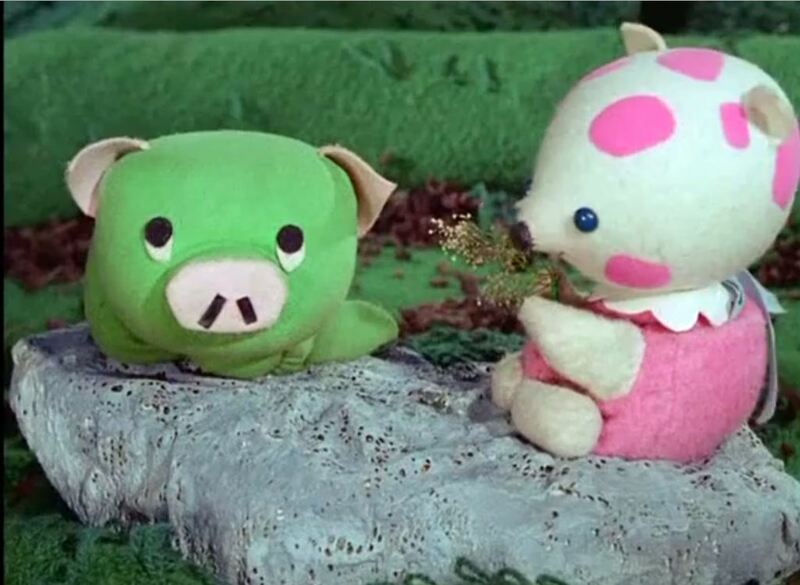 "A passive-aggressive green piglet and a ridiculously adorable baby guinea pig." Sounds like a winner with only that! This sounds like such a cute show!